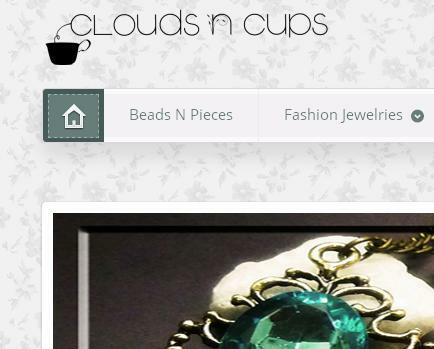 Reblogged this on Clouds N Cups, Share With Us~. Already voted! And I will vote every day. Aww…thank you so much for joining in for a good cause! Do feel free to vote again since we get to vote once everyday! You’re welcome, my friend! Let’s just hope that all these tiny help from all the lovely souls out there in WP will be helpful to them. Please forgive me for butting in here but I just wanted to let you know that the request above is not asking for anything other than a vote for the shelter mentioned. Nothing else is asked for. If you have charities also entered, of course you’d vote for them, understandably. But, if not and it moves your heart to vote for the Santa Paula Animal Rescue Center, it’s the first and only no kill shelter in a very large So.California county and the grant there could mean a lot for a lot of furry friends. Bless you for what you are doing/giving for your local animal shelter. So, do feel free to drop by the site and give your vote to that shelter anytime. So great to know that you’ve been doing all those wonderful things in life. Thank you for reading this post and for joining in for this good cause. Glad to know about the shelter’s current ranking…let’s just pray and hope they will win the grant. You’re welcome, my friend! May the lovely shelter be able to win that much needed grant! We will still be voting though..Hehee..
My pleasure to help. I truly hope you get the grant. Bless the work you do. Hope you’re feeling better already! Awesome, I will do it right now. On behalf of all furry cuties out there…THANK YOU!! Congratulations – doing the happy dance!!! I have my outdoor cats in to protect them from the freezing temperatures. I can’t imagine how they could survive outdoors even though they have a place to cuddle and stay warm. But the temperatures have dipped so unnatural, they must stay in. Love it. Just wish my son wasn’t allergic. But he doesn’t come that often. Thanks for all the work you are doing. You are making a difference. Hugs!! It is always hurting to see those furry cuties shivering with cold. What I’ve done is really nothing when compared to what Paulette is doing…do drop by her lovely blog and see what differences she has been making for all the furry cuties out there. Thank you so much for sharing your experience with your cats and may they stay warm, always!! Aww…thank you so much for doing that! Do feel free to re-vote anytime, any day. Always a pleasure to be able to help! Thank you so much for your lovely vote, my friend! Voted:) I hope you’re doing well! Best wishes. Thank you so much for your lovely vote and your sweet blessings, my friend!